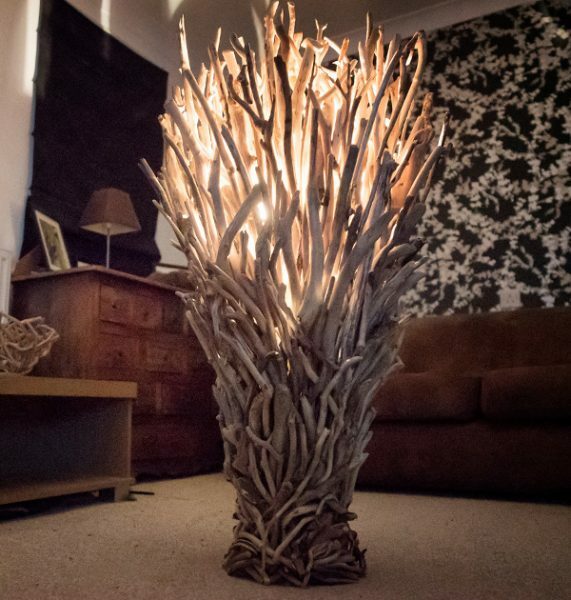 Beautiful Driftwood Table Lamp from Celtic Coast Creations. This lovely lamp casts the most amazing shadows, the unique design and warm wooden tones mean it looks great when it’s switched off too. Shaped by nature, sculpted for you. 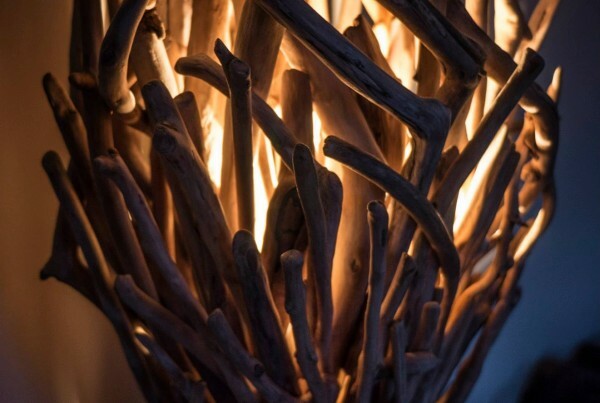 Each piece of driftwood is carefully sanded by hand before being glued into place. 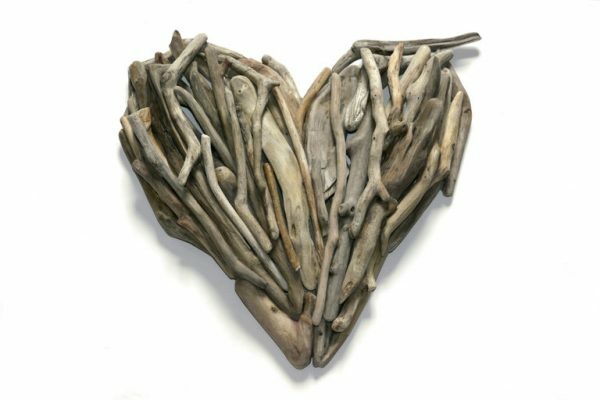 The creative process sees the transformation of individual pieces of driftwood into beautiful bespoke driftwood art. 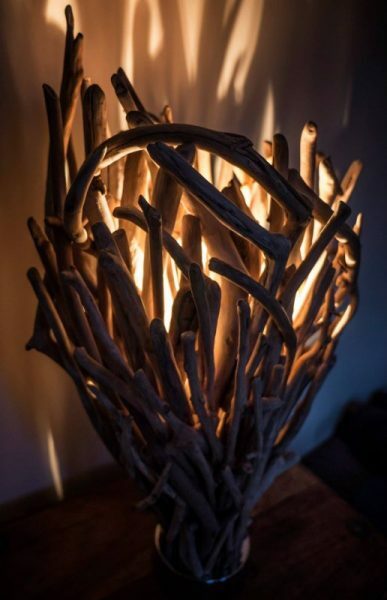 The full transformation process, from the beaches of south Wales into this beautiful, one-of-a-kind driftwood art is the result of many hours of love. Hope you enjoy it too! 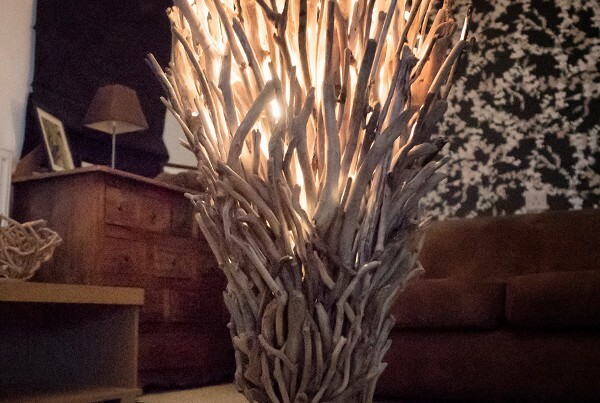 Additional designs can be ordered and custom made for your space so feel free to drop us a line with your specific requirements or dimensions. Get in touch via the contact us section of the site or social media: Pinterest, Facebook & Instagram.